Perhaps ABC replayed Frazier-Foreman I so many times that Howard Cosell's call of "Down goes Frazier, down goes Frazier, down goes Frazier" is what most remember when they recall the career of Smokin' Joe. Muhammad Ali's overwhelming presence overshadowed him during the 70's and the emergence of the colorful George Foreman of the 90's, may have led some boxing observers to forget he was the best heavyweight in the world in between 1968 until 1973. However, there are several things that stand out about Joe Frazier as a fighter that are routinely overlooked. Starting with Frazier was a terrific two handed body puncher, who possed never-ending stamina and actually got stronger as the fight progressed. He was the ultimate catch and kill style fighter, due to him being a master at cutting off the ring and forcing his opponents to fight his fight. His finishing punch was his left hook, which he threw with equal force to the body or head. Over the years Frazier has been unfairly criticized for not having fought any big punchers with the exception of George Foreman. Next to Foreman, no fighter looks like a big puncher. He did fight Manuel Ramos who stood 6' 3" and weighed over 210 pounds and threw a crushing right uppercut. To which Frazier took flush on the chin on his way to scoring a 2nd Round knockout. Top contender Oscar Bonavena was a 6' 211 pound wall of granite. In their second fight, with Frazier's title on the line, Frazier cruised to a one-sided victory, winning almost all 15 rounds on the judges' cards. Jerry Quarry was a good enough puncher to force the 6'3" 220 lb undefeated contender Ron Lyle, who some think may have defeated Frazier, to back off after being hit with Quarry's bombs. Earnie Shavers, another fighter some believe might've had his way with Frazier, couldn't get out of the 1st Round against Quarry. Conversely, Frazier stood up to the hardest punches Quarry ever landed and kept coming forward and wore Quarry down in two meetings between them. Joe Frazier sometimes gets lost in the overall picture of history’s greatest heavyweight champions. This is a shame since Joe Frazier can lay claim to something that no other fighter in boxing history can: that is he was the winner of the biggest and most anticipated fight in boxing history. I can't believe anyone would consider it a reach to say that the first fight between Joe Frazier and Muhammad Ali was the biggest sporting event of all time. In what was his career defining fight, Joe Frazier was better prepared mentally, physically and strategically for Ali, more so than any other fighter I have ever seen for their opponent. Only because of the Herculean effort of Frazier was Ali the loser in the most anticipated fight in history. Only Ali could recover from losing such an event and go on to be bigger than he would have been than if he won. However, what continues to mystify me is how Frazier is often overlooked and under appreciated, not to mention underrated. That’s unbelievable in today's sporting world where everything is usually overrated based on one great fight or game. Yet Frazier, who won the fight that mattered most, is overlooked. Talk about being born at the wrong time. I thought that only applied to Jerry Quarry. Maybe the Frazier who defeated Quarry twice should be linked to him for another reason: being victim to the calendar and having a lifetime to think about it. 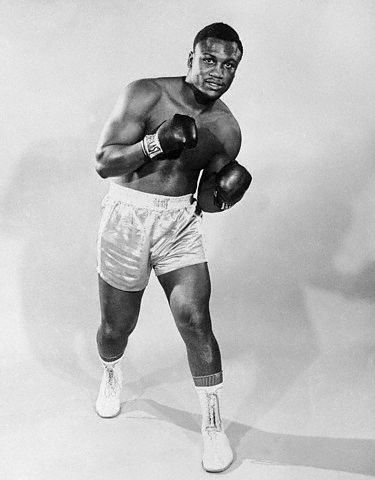 Many boxing aficionados have remarked that it was Quarry's misfortune to be in his prime at the same time that Ali and Frazier was at or close to theirs. I think it can just as easily be said that Frazier had the misfortune of being champion when Ali was larger than life and George Foreman was at his physical peak. If you compare Frazier and Ali strictly as fighters, there isn't much separating them. All three fights between them were close and went down to the wire with some seeing both of them as being the winner in their first two bouts. In terms of fighting styles, Ali's strengths were Frazier's weakness and vice-versa, which is why their fights were so grueling and took so much out of each man. When comparing Frazier and Foreman as fighters, Frazier was actually the better fighter. However, he didn't match up with Foreman from a style vantage point. George Foreman and Joe Louis were the two most difficult opponents in heavyweight history to fight while employing a pressure style. Unfortunately, Frazier, just like Dempsey, Marciano, and Tyson, could only fight effectively moving forward forcing the fight. Foreman was the one fighter that when Joe came out "Smokin," it proved hazardous to his health. Frazier's loss to Foreman no doubt damaged his image as a great fighter. I would love to have seen how Dempsey, Marciano, and Tyson, who in their careers combined never fought a fighter anywhere near the puncher that Foreman was, would have done against the one that made Frazier an ex-champ. I have a hard time envisioning the results being any different. Joe Frazier, as mentioned previously, was the ultimate catch and kill style fighter. What I mean by that is nobody applied more pressure and cut off the ring better than he did. It was Joe Frazier, not Dempsey, Marciano or Tyson, who developed the blueprint on how to force a mover/boxer to fight flatfooted and on the inside because the ring space they needed to move and box evaporated. And Frazier did this successfully versus the best escape artist who has ever lived, Muhammad Ali. And I believe he would've been successful cutting off the ring on any version of Ali. Remember, during the sixties Ali never faced a fighter who could get past his jab and take it to him inside. Had Marvin Hagler been able to cut off the ring against Sugar Ray Leonard half as effectively as Frazier did against Ali, Leonard would have retired forever after their bout. Against Ali, Frazier forced him to either fight, hold, or use his legs to try and stay away. When Ali tried moving against Frazier, he paid a price with his stamina and eventually had to fight Joe inside, which played to Frazier's strength. On the inside, Frazier's hands were very fast, something that has always been overlooked. Something else that seems to have been forgotten was his foot speed. Sure, his legs didn't appear to move fast, but he got on top of his opponents right away. And with all the hard punches he was throwing, he was damn near impossible to move off. If you managed to slip away - and only Ali had enough movement to succeed with that tactic - he was right back on you again within seconds. Frazier had very deceptive hand and foot speed. Muhammad Ali's jab was his security blanket and defense. No fighter made him miss with so many jabs as Frazier did over the course of 41 rounds. Sure he landed and scored with plenty of them, but when compared to how many he was forced to throw to land what he did, I'll bet the connect percentage would surprise many fight observers. Frazier's bobbing and weaving was also much more effective in taking away a good jab than Marciano fighting out of a low crouch or Tyson's overrated and basic hands up, side-to-side, peek-a-boo movement. And it also required much more skill to execute without getting your head knocked off in the process. If you doubt that, try holding your hands up and moving side-to-side, and then try bobbing and weaving using your waist and legs to get under and inside of punches. I've done both and it's no contest as to which is harder and more effective. Roberto Duran in his prime is the only other fighter I've seen do it as fluidly and effectively as Frazier did. Maybe that should tell you something about why we don't see many swarmers today adopting that tactic. It's too hard and requires endless stamina and conditioning. Not only did Frazier make Ali miss with the fastest jab in heavyweight history, he made him pay - scoring with massive left hooks to his head and body when he missed. Ali says to this day Frazier was hard as hell to find and hit. The problem is that all anyone ever remembers is Frazier's puffed and bruised face after their fights. As if Ali came out of their fights unmarked. During his career, Joe Frazier fought every fighter out there. As early as his 11th pro fight he took on Oscar Bonavena, who had close to 30 fights under his belt. 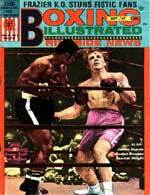 Frazier was dropped twice in the second round against Bonavena. When he got up from the second knockdown there was a minute left in the round and he was never close to going down or being stopped the rest of the round or fight. So in reality only George Foreman stopped him, with no other fighter coming close, until Ali shut his eyes in Manila. Frazier's two wins over Bonavena and early stoppages over Chuvalo, Quarry twice, Ellis twice, and Foster once, rank close to the level of opposition that many other greats faced. However, his convincing win over an undefeated Muhammad Ali two months after his 29th birthday clearly puts him on par or slightly ahead of any other heavyweight great except Ali. And Joe fought him three times, which is equal to the best three fights of any other past great. After clearly defeating Ali in their first meeting, the second fight was close, probably 7-5 in rounds. It wasn't a cakewalk for Ali like some think, and 7-5 is more realistic than 8-4. And their third fight, "The Thrilla in Manila," was three fights in one. Ali had control in rounds one through five, Frazier had control in rounds six through eleven, and Ali took over in rounds twelve through fourteen. Joe Frazier was a better two-handed fighter than he has been given credit for. Although he didn't have a very good conventional straight right hand to the head, his right hand to the body was dynamite. Frazier also carried his punch from round one to fifteen, something only Louis and Marciano shared. And only Marciano got better and stronger like Frazier did as the fight progressed. Only two fighters ever defeated Joe Frazier. Muhammad Ali who usually ranks number one or at worst number two behind Joe Louis among history’s greatest heavyweights, and in three fights against Ali, Frazier gave him a life and death struggle and won the biggest of the three bouts. The other fighter to beat Frazier is George Foreman and he did it twice, stopping him both times. Foreman is probably the strongest and hardest punching heavyweight champion of all time. If he punched with the proper technique, it would have been illegal to allow him to fight mortal fighters. After a ten year retirement he came back and beat the man who beat the man to win the title. And Foreman wasn't anywhere close to the physical fighter in the 1990s that he was in the 1970s. And in a head-to-head match up, the ‘70s Foreman would stop the ‘90s version. I have often thought about how other past greats would have fared had they fought the same Muhammad Ali and George Foreman that Frazier did in five fights. I haven't a morsel of doubt that their career image and perception just might have been a little more tarnished than is the case. Some remember Frazier's career because he lost to Foreman in two rounds. Yet a 41-year old Foreman had a prime Evander Holyfield holding on at the end of their title fight in 1991. During the years of his return to the ring, 1989 to 1991, Foreman constantly used the media to challenge Mike Tyson. Some fans try to ignore this or say Tyson didn't want to hurt Foreman and that's why he never fought him. How far does one have to go to convince them to believe that? The fact is Mike Tyson wanted no part of fighting the same 41-year old Foreman who Holyfield fought. I know this because I heard Bobby Goodman say it in front of me to George Benton and Lou Duva after a press conference in Atlantic City for the Evander Holyfield-Seamus McDonagh fight in June of 1990. Tyson himself said it in Ring Magazine in 1991. Larry Holmes lost his heavyweight title to light heavyweight champ Michael Spinks, all be it at the end of his career, and it didn't hurt his standing as a great fighter. Mike Tyson's legacy is based on knocking out that same light heavyweight champ seven years after he won the light heavyweight title. Yet Frazier's two round mutilation of light heavyweight champion Bob Foster - who is at least on a par with Spinks - two years after he won the title, is considered no big deal. Joe Frazier never lost to a Michael Moorer or was never knocked out by the likes of Buster Douglas or Hasim Rahman. Over the last hundred years, only Jeffries, Tunney, Marciano and Frazier never lost to a fighter they should have beaten. Not once. Frazier's title tenure lasted five years. He made ten successful defenses, winning eight by knockout. He lost the title to Foreman and failed to regain it from Ali. Some of the fighters who were often ranked higher than Frazier lost their titles to fighters who on their best day would be honored to pay their way into the gym just to see him shadow box. Mike Tyson was stripped of his title by a journeyman named Buster Douglas. Michael Moorer, a fat light heavyweight, dethroned Evander Holyfield and Michael Spinks, a manufactured heavyweight, beat Larry Holmes. You do not need me to tell you that Douglas, Moorer and Spinks would have had more than their feelings hurt had they attempted to take Frazier's title. I haven't heard anyone try to take Frazier's monumental victory away from him, but too many have forgotten about it. Only one fighter won the biggest fight in boxing history. And his name was Smokin’ Joe Frazier. Boxing fans should never forget it. Joe Frazier Super Beast from Cox's Corner on Vimeo.